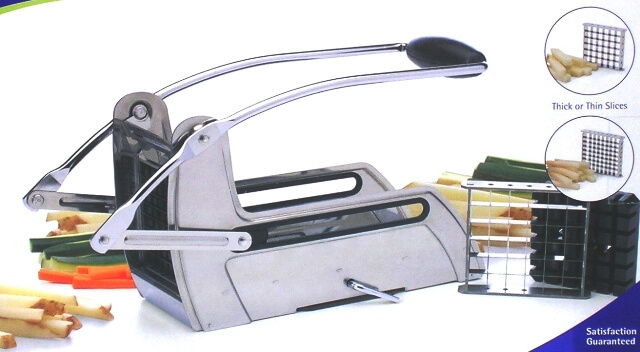 This fantastic delux Potato Cutter / French Fry maker will take the guesswork out of making uniformed slices with a knife! Durable Stainless Steel Frame holds the stainless steel blades. And great also for making cheddar cheese to cut the curds! To use, simply put the potato into the chute and squeeze the stainless steel handle, pushing the potato through the blades. Two blades included for thick and thin fries. Great for making Vegetable Sticks! 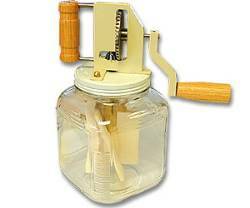 Butter Churn Hand Crank 2.5 Qt.